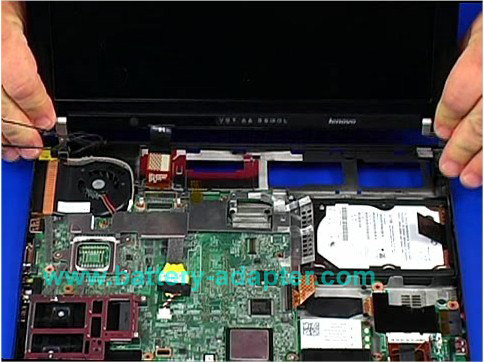 In this guide, the acutal laptop is Lenovo Thinkpad X200. First of all, shut down your computer, disconnect the AC adapter and remove the battery. Keyboard. 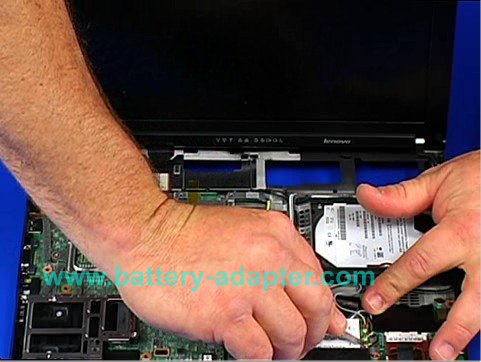 Please Refer to: How to Replace Lenovo Thinkpad X200 X200S Keyboard. Palmrest. 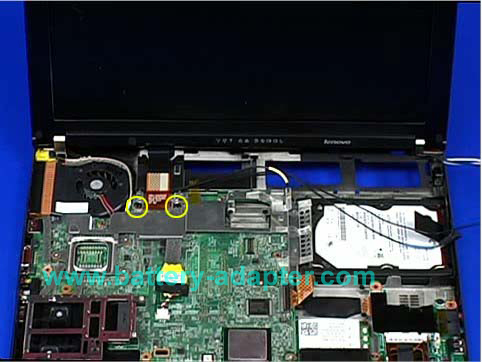 Please refer to: How to Replace Lenovo Thinkpad X200 X200S CPU fan. Keyboard Bezel. Just take it out after you remove the keyboard and Palmrest. 1. 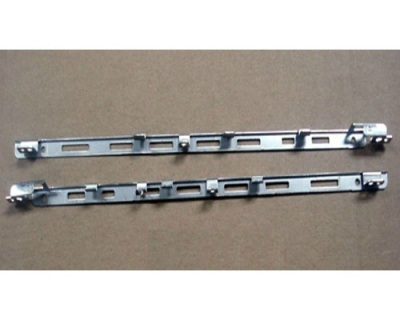 Remove four screws as shown. 2. Open the computer. Remove the two screws securing the wireless LAN card and unplug the antennas. 3. Tear the tapes and release the antennas. 4. 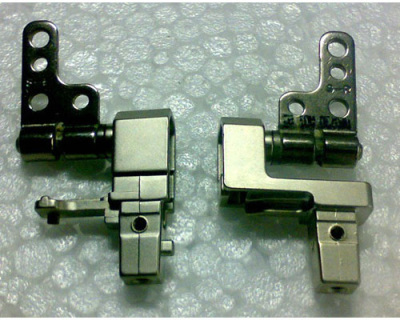 Unscrew the two screws as shown and disconnect the video cable. 5. Continue to release the antennas. 6. 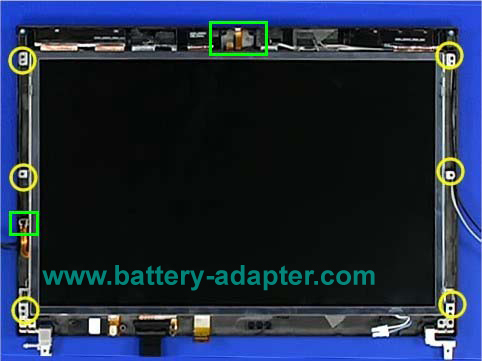 Now, you can disassemble the LCD module from the computer. 7. 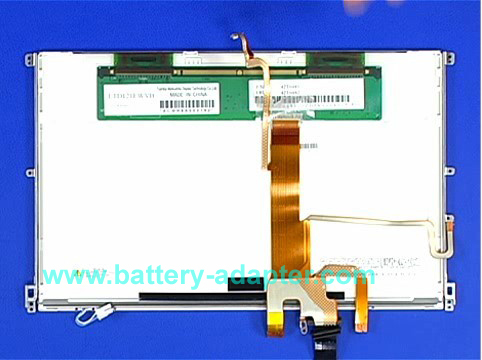 Remove the LCD bezel and Inverter. 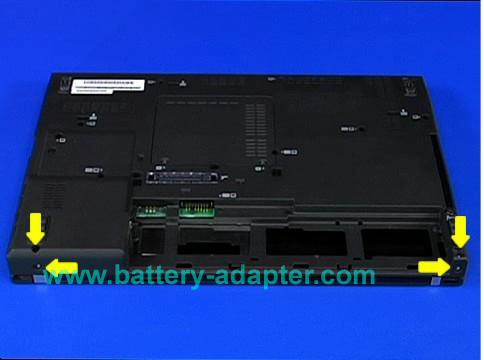 Please refer to How to Replace Thinkpad X200 X200S Inverter. 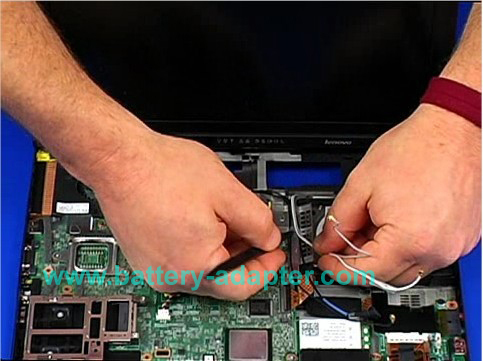 Remove the six screws in yellow circles and unplug the cables in green rectangles. 8. Remove the screen. 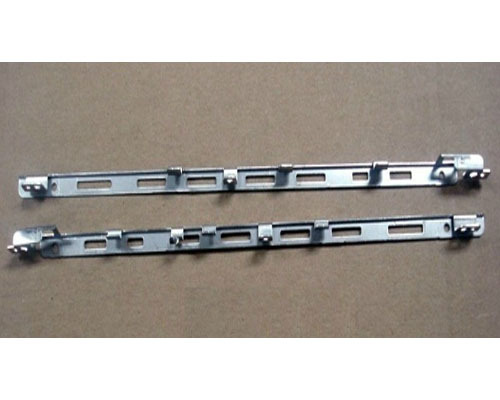 Now you can remove the LCD hinges. 9. Turn the screen over, tear the tape and remove the LCD cable. 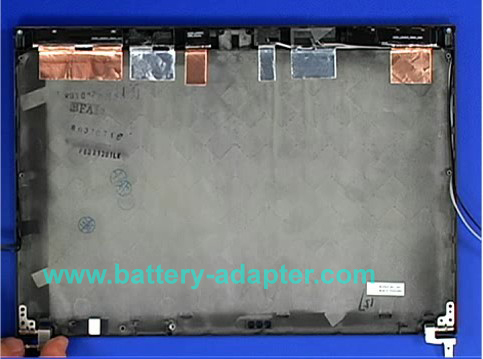 Reverse the procedure to install your new Lenovo thinkpad X200 X200S hinges and LCD cable. 2. Lenovo Thinkpad X200 X200S CPU fan.